What's Up New Haven: There's An "Elm City Elf" On The Loose! There's An "Elm City Elf" On The Loose! Where is the Elm City Elf today?? 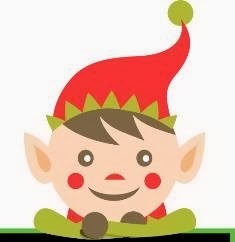 Here's a fun holiday activity for New Haven: Find out where the Elm City Elf is each day for a prize! Visit the Elm City Elf's official Facebook and Twitter pages for clues as to where he's hiding, beginning on December 1st. Gotta dig this new era hide-and-seek! "Elm City Elf” is a hybrid promotion of Willy Wonka's Golden Ticket and the popular Elf on the Shelf craze. For 24 days leading into Christmas, Elf dolls will be placed in one store or restaurant per day throughout the city. Each day a photo will be posted of the Elf "shopping" via Twitter & Facebook. Consumers following ElmCityElf need to determine where the Elf is, physically locate the Elf and turn it for a prize. The consumer will get to keep the Elf along with the prize. Once the Elf is redeemed we will post a photo of the winner in the store with the Elf. This promotion is sponsored by: Economic Development Corporation of New Haven, Market New Haven & The Shops at Yale. A Tweet from the Elm City Elf! Woohoo!